My wife and I spent a few days in the Atlanta area earlier this week. We visited the Atlanta Botanical Gardens as part of the vacation. 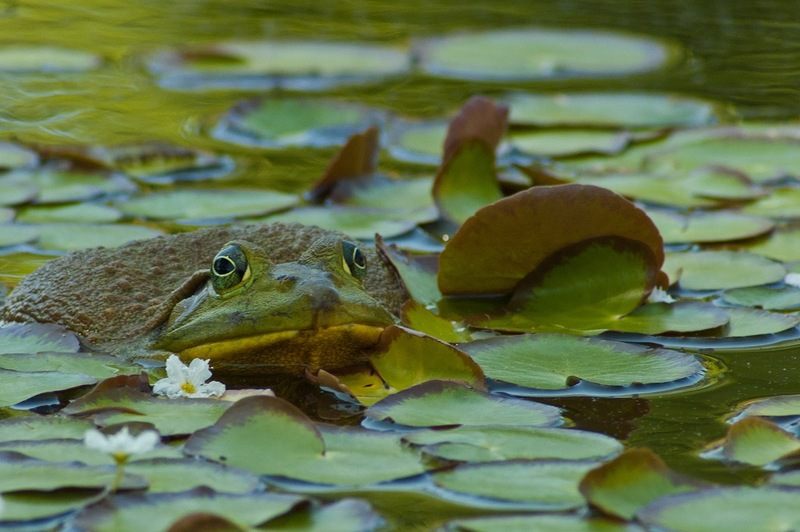 It was our first visit and we were amazed at the displays This bullfrog was one of several in the water lily pond. I'm not sure of the exact identification, it may well be of African origin but it made for an interesting image.